Looking for that "happy high"? Well ACE Seeds latest hybrid is certainly the strain to put a smile on your face. A strong and hardy specimen with plenty of speed to boot, China Yunnan is an all round superstar. Mostly Indica in nature, she shares her genetics with a smidgen of Sativa which comes through superbly in her potent stone. The perfect addition to any cannabis collection. 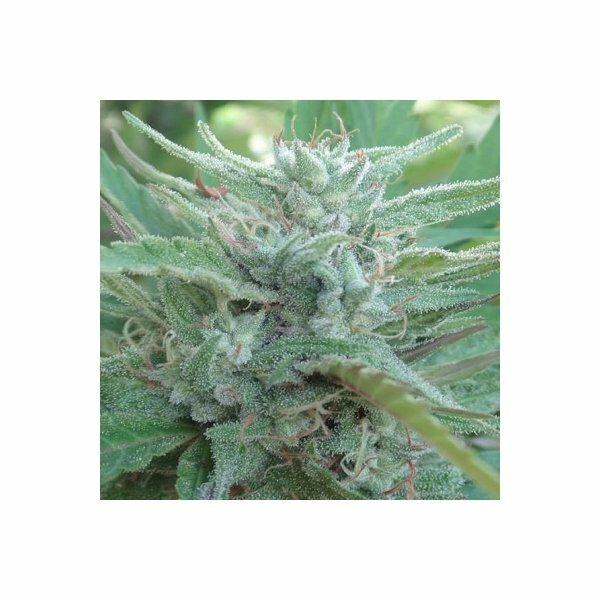 Surfing both sides of the cannabis spectrum, exotic Indica China Yunnan (from ACE Seeds) is a southern spectacle hailing from a Chinese province bordering Burma. Said to be a possible connection between classical Indicas and South Asian Sativas, the Indica-dominant specimen (80% indica-20% sativa) really does bring a lot to the table. Sporting a somewhat hash plant look, China Yunnan grows with strong and vigorous intent. Although compact in size, she still boasts an abundance of beautiful wide leaves, high resin production and fast flowering ability. Capable of flowering in as little as 8-9 weeks (end of September for outdoor growers), China Yunnan produces columnar plants with a large main bud. Best grown indoor (but still highly successful out), China Yunnan displays a considerable level of adaptability, resilience and speed. Partial to artificial light, she grows well under warm temperatures. For the first 4 weeks of flowering it is recommended that she is kept at around 25ºC, to be later decreased to 20ºC for the remainder of flowering period. China Yunnan is a specimen of decadent aromas and sumptuous flavors. One whiff of her bountiful bouquet is all it takes to get you hook, line and sinker. Her Indica genetics serve up a dense, sweet and creamy cocktail, while her lesser Sativa traits provide notes of woody goodness. Very much a cannabis rarity, China Yunnan yields at the highest level; producing in both quantity and quality. In terms of her high, smokers can expect a happy and visually stimulating experience. After this initial phase, she induces a warm, relaxing and overall satisfying stone - every cannabis connoisseur should try.